to check out our features in depth. It's never been so easy to Foodify! 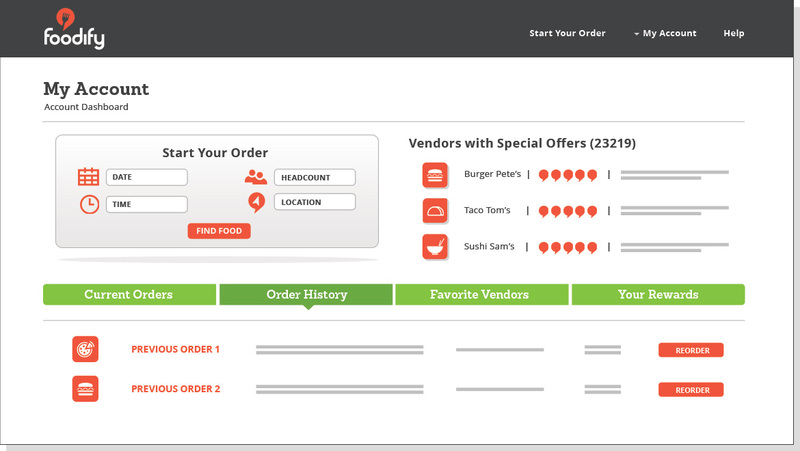 We give you flexible control of the ordering process. Whether you pick the food or they pick it, we manage the whole process for you. And when it comes to keeping tabs on your orders, nothing beats having it all in one place. 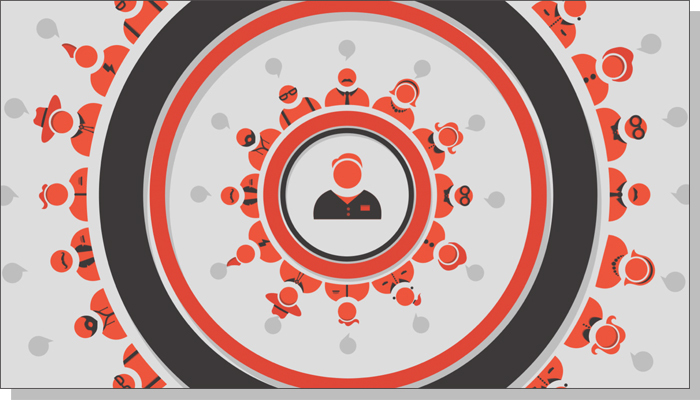 Managing multiple orders can be daunting. We make it easy. Whether they span multiple restaurants, departments, payment accounts, or locations, you have the control to do what you need. And best of all, it's all in one place. It's easy to get a quick overview and know where everything stands. We let you know when your orders have been confirmed and give you the flexibility to update them until the cutoff time. Need to find that one order from last month with the special meatloaf that everyone loved so much? No problem. 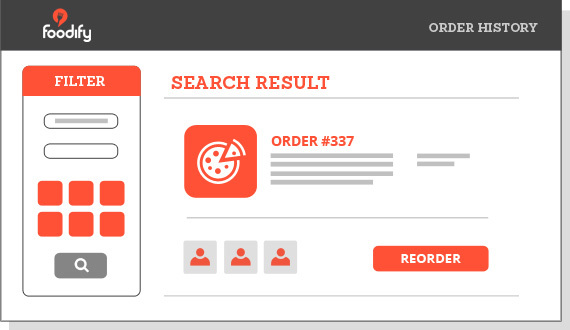 We keep your order history forever and give you search tools to find exactly what you're looking for. 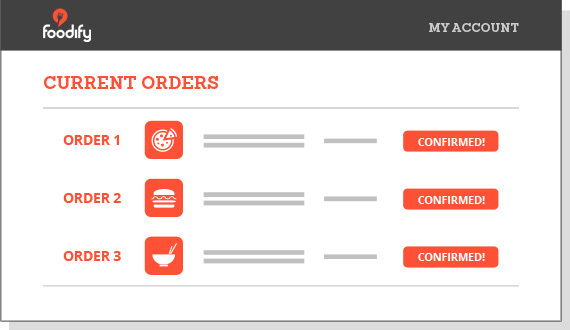 You can even start a new order from a previous one, making it super fast and easy to replicate that perfect meeting. The Accounting department meets every Tuesday and they sure are picky eaters. No problem. This is where things get really powerful. Custom groups let you send the menu to group members so they can pick their own food. 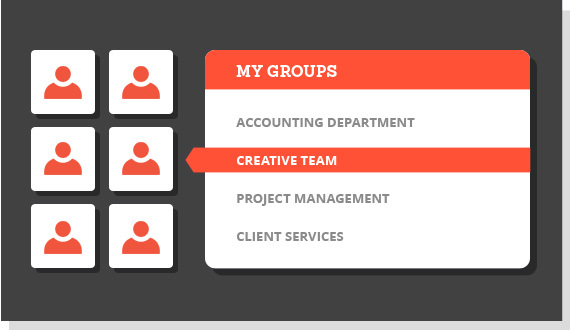 You can make as many custom groups as you want. Just select the group, send them the menu and we let you know when they're done. Someone lagging behind? That's ok, we'll send a quick reminder and help you get 'er done. Need to keep the budget under control? Or maybe the menu just has too many options for time challenged employees. That's where custom menus come in. 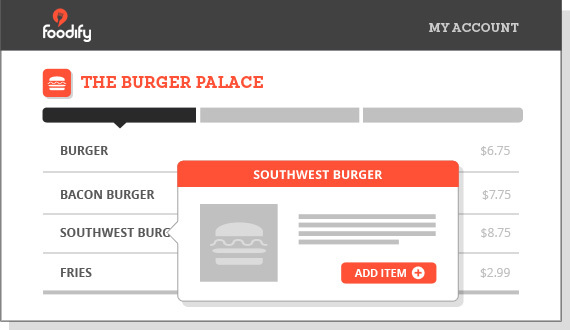 You can choose a custom selection of items from the menu and let the group choose from your custom menu. Now that'll keep James in Finance from getting the Filet Mignon every time. All your favorite restaurants in your office! That's what Foodify is all about. 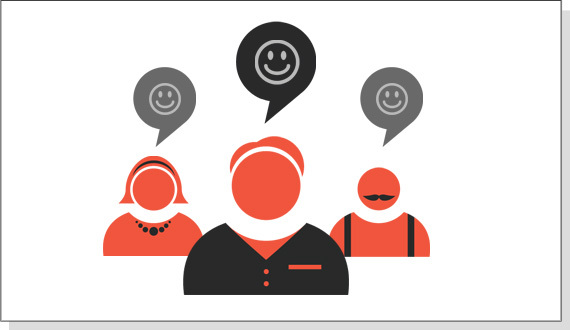 We make it easy by giving you a range of selections based on your criteria. 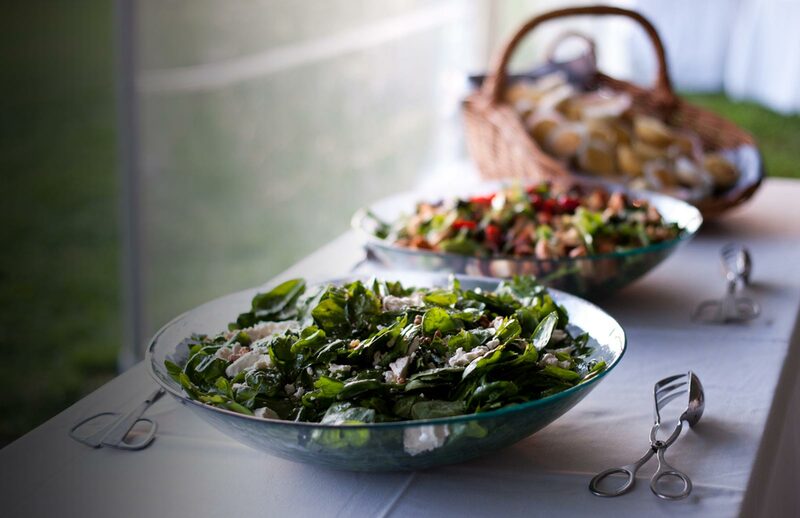 Check out the interactive menu, look at pictures, read reviews, whatever you need to ensure you find the perfect food for your event. 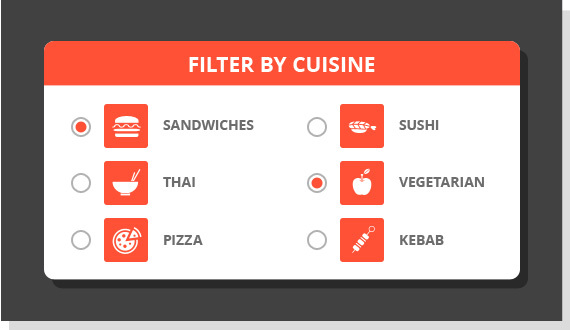 Filters let you narrow search results by cuisines like barbecue, Greek, Mexican or Pizza. Narrow it to a specific price range, show only the highest rated, or show only those restaurants running special offers. Finding the exact food you want is easy. 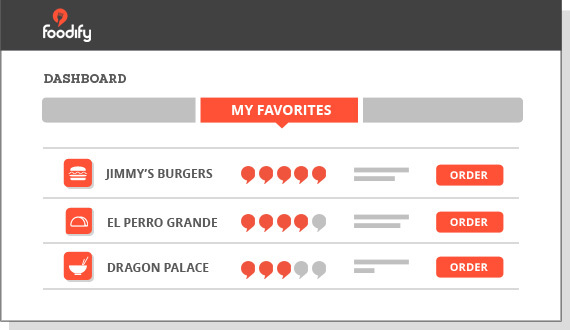 Our comprehensive restaurant pages make it easy to get a feel for the food so you can make the right choices. Browse detailed descriptions of menu items, check out pictures of signature dishes, and read the reviews. When you've found what you want, simply add it to your order. Special instructions? No problem. You can add them to individual items or to the entire order. Did you have a great experience with a restaurant? Let them know through ratings and reviews. 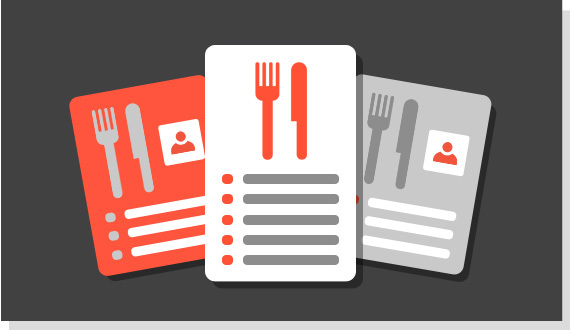 Restaurants need to know how they're doing so they can provide the best service possible. You can see how they're doing by checking out what other people say about them. When you find that perfect barbecue joint, or the best Vietnamese in town, simply click save to favorites and they'll show up on your homepage as quick shortcuts. Save as many as you want. It's just another reason everything is faster and easier with Foodify. 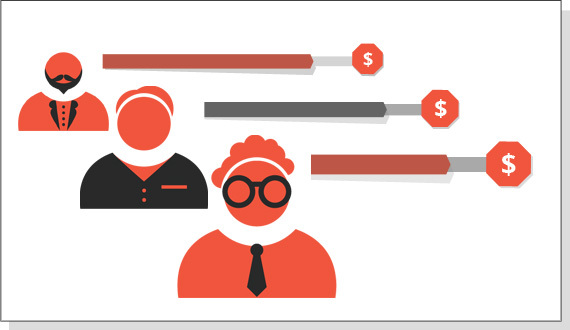 Large organizations often have multiple departments and account holders. Often this includes multiple administrators ordering food for their own departments. 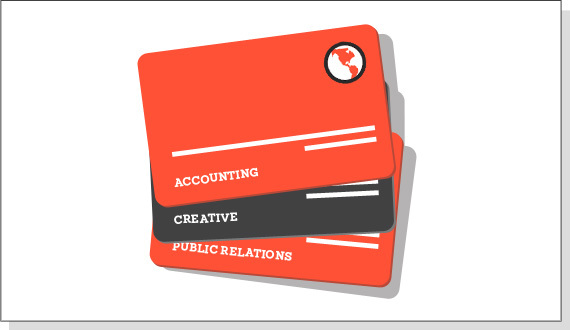 Our account tools make it just as easy for large, complex organizations as it is for small companies. Do different departments use different credit cards to pay for their food? Would they rather use a corporate billing account? How about both at the same time? Our flexible account tools let you set up multiple accounts so they can pay how they want. You can even add billing codes to track order spending. Simply select the account holder when you place an order and we'll take care of the rest. It's easy to add multiple users to your account. They can order food for their own meetings, set up their own groups, and have access to the same great restaurants, but are limited to their designated payment account. You can track their spending and even give them spending quotas so they don't go over budget. You earn rewards for simply placing an order through Foodify. It's that easy. But we also offer many other ways to build rewards points. Write a review. Tell your friends about us on Facebook. Post about us on Twitter. Or refer a friend through email. 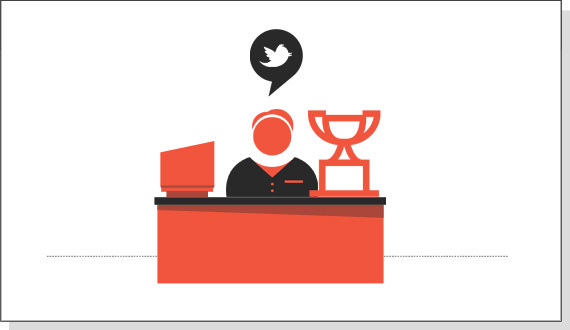 Help spread the word about our great service and we'll make sure you get rewarded. That's right, we want to reward YOU, the person with their fingers on the keyboard. 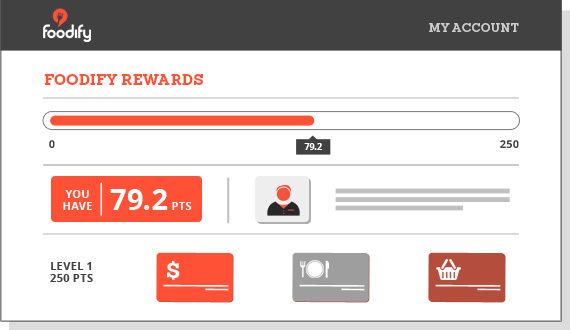 All rewards points accrue to your user account and you can use them how you choose. If that doesn't say we love you, we don't know what does! * Subject to approval from your business or organization. Access everything in one place! Best of all, Foodify keeps your whole world in one place. It's easy to start an order or access anything you need. Our comprehensive account dashboard has everything you need to keep tabs on orders, browse order history, jump to your favorite restaurants, or keep tabs on your rewards. Not to mention a running list of today's special offers exclusive to Foodify users.